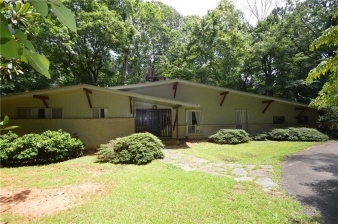 Description: Mid-Century setting on a private wooded 5.9 acres lot. Beautiful serene setting overlooking unbelievable views. You will to see for yourself to believe the mountain like setting in the city. Custom built by family's Grandfather and still family owned.